﻿For the first thirteen years of my education, there were only girls in my classrooms. My Manhattan private school prided itself on educating the female leaders of tomorrow, and indeed, it succeeded in many cases: presidential first ladies, governors, entrepreneurs and academicians are among the alumnae. I believe the school’s leaders would describe it as an incubator for female minds, making possible the contributions of women in the world by offering young women a protected, nurturing space in which to build their confidence, find their voices and empower their strengths. Defining feminism as giving women space in which to safely discover and cultivate their power is only one of a wide range of definitions of a loaded term. A couple of years ago, I publically distanced myself from the word, although nurturing women globally is a personal passion of mine. The caricature of 1980s New York feminism I perceived outside the enclave of my school – power grabbing, man hating – still reverberated in me. However, in the intervening years, I have developed a more refined understanding of the feminism spectrum, and I have come to the following conclusion: If you care about the spiritual, emotional and intellectual development opportunities available to you, your wife, your sister or your daughter, you are a feminist. Period. Based on this definition, the doctrine of The Church of Jesus Christ of Latter-day Saints is inherently feminist. The Lord cares about women, our leaders care about women and we as a people care about women. But if we are going to honor this inherent doctrinal feminism and add our gospel-driven perspectives to the greater feminist dialogue, we Mormons must be comfortable entertaining a broad spectrum of feminist convictions so that we enlarge our embrace to include any person who feels comfortable working on behalf of women. Was my identity as a woman threatened by my hermetically gendered education? Am I maladjusted to the real world, in which I work and live with men? Excepting a brief period in college where the bursting of the floodgates resulted in a potent case of boy craziness, I am confident that my experience served to cultivate an identity that allows me to speak, think and contribute on par with any person, male or female. I understood this gift of incubation to be the height of feminism. In my mind, what could be more feminist than an entire organization dedicated to nurturing and celebrating female development? Similar spaces of belonging and authenticity are fabricated outside of the educational system by women across the world: book clubs, baby showers, dinner groups, girls’ weekends are instinctive efforts to create those spaces for ourselves in which we feel fully understood. In fact, I’ve been to many a dinner party where the women intentionally sit themselves as a group at one end of the table so as not to be interspersed among the men. What do these gatherings, which have had equivalents through the ages, signify? To me, they are evidence of a craving to develop communities around those with whom we share biological, emotional and developmental commonalities. In a sense, they are feminist impulses because they seek for places and spaces in which women can find and retain their own voices. A year ago, I spoke at the FairMormon conference to a group of apologists, or people who offer arguments and maintain convictions in defense of Church doctrine and practice. Understanding my audience, I felt the need to spend a good portion of my talk establishing that we have a serious problem in the way the women of our church feel represented, needed and integrated into decision making. Despite my best efforts, I was still called an apostate, told I was making a big deal about nothing, and was repeatedly told by men that their wives “don’t care about any of that stuff.” However, upon returning to FairMormon, this year as a moderator for an all-female panel, the electricity in the room around our comments was completely different: rather than starting from a defensive stance of having to convince our audience that what we were talking about was important, the conversation started with the assumption that all is not well with our women. The whole audience seemed to agree: Salt Lake, we have a problem. That, for me, epitomizes the shifting ground each and every church member has experienced over the past year as we’ve ridden the waves of pants, prayers in conference, mission age changes, and priesthood ordination demands. Many members, male and female, have rejoiced at many of the ways our spiritual imaginations have been stretched to recognize that our cultural practices of incorporating women into church governance are insufficient. But what if you personally feel that women’s ordination makes a mockery of our doctrine, or if wearing pants to church strips you of your femininity? What if you understand why men don’t want women attending priesthood session, because you feel some special sisterhood is compromised when even the bishop visits your ward Relief Society? Is your choice simply between radical activism and turning a blind eye? No. What I have felt has been missing in the past year’s dialogue is a discussion about how we can preserve some of the most beloved elements of our infrastructure and gender doctrine, while still taking an honest look at those elements that lack parity. In other words, how can we make sure that Mormon women continue to enjoy spaces in which to develop their voices – such as Relief Society, motherhood, and the worldwide sisterhood those offer – while eradicating the disparities in how and where those voices are heard amidst the larger church? I’ve been afraid that movements like Ordain Women do not clarify enough how their vision of future church government protects that sacred female space rather than dissolves it into gender neutrality, while on the other side, women who claim not to notice or care about the disparities seem to avoid at all costs entertaining questions of the gospel’s potential expansion regarding women. If there’s been a need arise in the last year since I spoke at FairMormon, it has been to validate and give a name to the middle but silent majority, the widespread cohort of men and women who might not typically feel comfortable carrying a flag of feminism but are uncertain our current practices facilitate the full developmental potential of women. I have received emails from and had conversations with hundreds of this cohort. As an active LDS woman coming to terms with feminism, I believe the most valuable thing we can do as members concerned about the involvement of our women is to give this middle ground a platform on which they feel they can equally honor the demands of doctrine and of feminism. As I educated myself into the nuances of the movement I had publically distanced myself from a couple of years ago, I discovered a place for myself, a place where I didn’t feel I had to give up my beloved separate sphere of women’s voices, but where I could still carry a feminist flag with integrity. There are official strains of feminist theory that approximate where I’ve landed – difference feminism and complementarity have been suggested to me – but for my purposes of talking about feminism within the gospel paradigm, it seems necessary to assume a new identity so as to avoid the secular baggage that accompanies other labels. As I have discussed elsewhere, it is important to be aware of secular egalitarian ideals, but we as Christ’s followers must be willing to expand our understanding to non-worldly rhetoric. My feminism does not argue that the biological differences between men and women are inconsequential. Neither does my feminism hold that men and women should play into any culturally imposed division of spheres. In my feminism, men and women have different strengths and perspectives but the worth and dignity of each is the same. It demands that in social, economic, and legal senses there should be absolute parity, while accepting the biological differences between the sexes that play out in the spiritual and practical elements of our lives. My vision supports the value of feminine spaces, like the one I experienced at school, in which women have ample space to listen to and respond to their own voices and needs. I believe it is intolerable to quiet those voices and needs when put in the larger context of relationships with men. For my purposes, I’ll call this vision Edenic feminism, because for me, the pre-fall model enacted in Eden is a good example of this model in practice: Eve demonstrates a clear and confident voice when making her choice to eat of the fruit, and she makes the decision largely for herself and by herself. It is later, when she has expressed her own voice and done all that she can to be like God on her own, that she invites Adam to join her. It is self-actualizing feminism. She became the master of her own destiny. Edenic or self-actualizing feminism requires the existence of a robust female sphere in which women can develop the kind of self-knowledge, confidence and drive to action that Eve demonstrated. I believe that the seeds of this robust female sphere do exist in Relief Society, our emphasis on motherhood, and our discussions of self-worth and nobility as daughters of God, but this sphere’s ability to represent the full potential of women is as yet untapped and needs to be moved from language to action. What good does it do to talk about self-worth as daughters of God if we do not act in a way that puts that worth to use? I have expressed elsewhere what those administrative and cultural practices could look like if we let Edenic feminism guide us. Other substantial imaginings have proposed a separation of administration priesthood from ecclesiastical priesthood. I look forward to a day when gender parity in our practices: when, as I said recently, rich layers of women leading women are fully excavated from the seeds of our current reality, and when the Relief Society fully explores its global potential as a place for women to cultivate themselves. If I play out my vision, extending what I know to be a reality in the Church today to the ideal I’d love to see, the general Relief Society president is administratively and ministerially responsible for half of the world’s population in a joint venture of administering the church with the prophet. This vision is not so far-fetched: Mormon historians might argue that my vision is more a hearkening back to the way Relief Society was structured in the early church, rather than a leaning forward to some unattainable ideal. General Relief Society President Emmeline Wells lamented being moved to the newly constructed Bishop’s Building, out of her office next to President Joseph F. Smith’s. She understood the symbolic twilight of her organization’s stewardship as it had existed to that time. Separate spheres can be used to empower or disempower women, depending on who is creating the space, the purpose of the space, and the management of the space. What stops a man, for instance, saying that university professorships are not in the woman’s sphere? Or a woman from saying being home with children is not in a man’s sphere? The potential to be taken to the extreme is this approach’s greatest weakness, and acknowledging the reality of this weakness is the first step to making sure it doesn’t happen. Critics of the church’s incorporation of women point to the Relief Society and other institutional divisions as evidence that men are determining the feminine space. It is true that women’s administrative and ecclesiastical participation in the church is about as robust as a wildflower on the floor of a forest, even among women. And that it was more robust at the beginning of the 20th century and declined due to consolidation and a business approach to running a global church. What needs to happen for women to have a sphere as robust and vital as the men’s sphere, or even to return to the self-governance we had earlier in our history? This, I believe, is the question that could guide the most productive conversations for the moderate majority in the Church today. My answer to that question includes the belief that women still have room to own our own ministerial responsibilities more completely. There is much more we can do that doesn’t require men’s permission. I had a discouraging experience in my San Francisco ward as compassionate service leader: while I had no problem filling up meal requests for the large number of new mothers, my efforts to commit us to a battered women’s shelter were not nearly so rewarded. It’s easy to bring food to a friend who has a cute new baby, but after only three months I had to tell the shelter we were backing out of our commitment to them because I couldn’t find anyone willing to go. No man was to blame for that. What if all women started calling Sister Linda Burton, President Linda Burton instead, as a symbol of our feminine community’s respect for her? We don’t have to ask men for permission to do that either. The potential is largely already built into our structure for the parity we seek: stake and general Relief Society board members are in position to mirror the ministries of the high councils and quorums of the seventy; the purposes of mission president wives could, in title and settings apart, be more specifically delineated to include ministerial authority. Women speaking for women, representing women and advocating for women is, for me, the beauty of self-actualizing feminism. But I firmly believe that if we want to see gender inclusion in all our practices, we must start at the local level so that when the door opens to structural parity and even the restoration of previously held priesthood responsibility (i.e. healings) and extension to new ones, which I believe someday it will, we will be ready as a people to walk through it. The local level is where we can build relationships of trust with male leaders, request greater visibility of our female leaders, and act in a way that demonstrates our own commitment to those female leaders. The local level is where we can orchestrate mid-week, semester long courses on the history of the Relief Society, as the women in my stake have done, or initiate a completely gender neutral missionary preparation program, run jointly by men and women, as the Manhattan stake has done with their Manhattan Training Center. The local level is where we can best act on Elder Ballard’s precise instructions to council with our councils and enact the kind of cooperative leadership we want to see at general leadership levels. 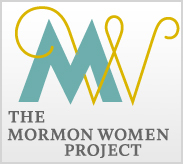 Relief Society has the potential to give women unique purposes within the ministerial church, and even though some of those previously existing purposes were victims of mid-century consolidation and streamlining, the door is not closed to us to work towards a restoration of those purposes and do more to tap into additional potential at the ward and stake level. The opportunity, even the responsibility, of stretching our spiritual imaginations to envision and create a robust and vital sphere is not something any man can solve for us or absolve us from. If we actively claim the farthest reaches of responsibility currently available to us through our words and actions, I believe that we will not need to ask the brethren for additional powers; we will have made them ourselves. We will have worked ourselves out of our own disparity. But until we as women are ready to put aside our claims that we don’t want the Priesthood because we’re already so busy, or until we even start noticing that the Scouting budgets are greater than the Activity Day budgets, or that we can’t even name our Stake Relief Society president, or that we don't even call our ward Primary or Relief Society presidents “president,” the power of our sphere will remain dormant. And yet for some Mormon feminists, self-actualizing feminism is a copout. Equality feminism – a strain of feminism that asserts human nature should not be either predominantly male or female but, rather, neutral, and it expresses the fundamental similarities between the sexes – is also a viable platform for some church members. While some may not understand how equality feminism can be in harmony with our belief in gender, equality feminists like many of those behind Ordain Women see their stand as being consistent with the scriptural description of souls: “All are alike unto God.” In this, they have an irrefutable point. One prominent Mormon equality feminist told me I made her “head spin” when I expressed confidence in unique responsibilities that I believe define women’s priesthood and can be seen in their infancy in the temple. For feminists like her, biology and gender personality differences do not justify unique responsibilities or spaces. But are not all communities built on carefully negotiated Venn diagrams of overlapping but contrasting forces? Isn’t the legal system of a civilized society simply the practical implementation of how much justice and mercy, represented by separate spheres, overlap with each other? Don’t our educational systems rely on agreed upon negotiations between knowledge and ignorance? The push and pull of contrasting forces is at the heart of gender conversations in the Church and in the world. How much should the separate spheres of men and women overlap? Historically, those spheres have not overlapped very much at all, and feminism from its earliest days as a movement has been an effort to acquire mainstream cultural acceptance for a greater overlap of the spheres. But how far do we go in overlapping those spheres? Equality feminism advocates for complete overlap, the way we are striving for complete overlap on the way varying races are treated and perceived in our culture. The very logical defense argues that if you concede that there is a part that doesn’t overlap, that portion can be abused and exploited. And in the case of men and women, we see that it is abused, the world over, overwhelmingly by men. But self-actualizing feminism is not comfortable with a full eclipse, mainly because gender is not something that can empirically be argued away. It means something. And so we must negotiate – within our countries, within our communities, within our church – to what degree the separate spheres intersect. It is too simplistic to condemn equality feminism because it seems to disregard essential gender belief, and it is equally overly simplistic to condemn Edenic or self-actualizing feminism because it seems to disregard human commonalities. If we imagine the directional movement of the men’s and women’s spheres overlapping over the past hundred years, we understand through the physics of moving bodies that that movement has drawn closer and closer to total eclipse. In other words, it is partly due to imagining and in fact working towards total eclipse that women enjoy spherical overlap at all. Thus, radical activism – as represented by the women’s lib movement of the 1970s or the Ordain Women organization today – plays a critical role in providing the inertia needed to get the spheres to move even just a bit. As a moderate, I value the role of radical activism, even though I am comfortable declaring that I would want the spherical overlap of men and women to halt before achieving their radical goals. It was this principled approach that prompted me to give Kate Kelly, the founder of Ordain Women, a voice on my website, The Mormon Women Project, even though I knew most of my audience would not sympathize with her goals. She is sticking her neck out there, and I am benefitting from the increased awareness among our people of some of my own goals. In the same token, any activism, even moderate activism, nudges spheres in the desired direction and I, thus, would expect even small movements to be respected and celebrated among radicals. I am disappointed when they are not. For some, my approach is too little because it is unwilling to demand wholesale change. For others, my approach is too much because it overestimates the individual’s power to ask questions and effectuate change within God’s organization. I could take on Falstaff himself in a throwdown of insults with the library of personal attacks I have amassed over the past year. The paradox at the center of these conflicting views – “knowing the Church is true” and yet still believing in eternal progression, restoration and personal revelation – prompts highly emotional reactions to others because the certainty/uncertainty paradox is unresolved in all of us. But I would hope that each of us can see that gender negotiations are not a zero sum game: if men get something, my own harvest is not quantifiably reduced, neither is a man’s harvest reduced if I get something. This is what I call divine math: the fact that the pie grows to accommodate all needs, the way a parent’s heart grows in love to accommodate each new child even when it seemed ready to burst with the last. “Is thine eye evil, because I am good?” the Lord says in the Parable of the Laborer, to those who complain they have been paid “equal” to those who worked less. In a world of absolutes, divine math demands that we accept that there is room for all good; that the win or opportunity or even salvation of one doesn’t take away or diminish the successes and salvation of others. There is room for all willing to do the work. This article was originally published on Feminist Mormon Housewives on October 1, 2013. The Americans. These guys are going to be big. Horowitz' live performance of the Rachmanioff Third Piano concerto. Gloriously messy and exciting. More Sleigh Bells. Crush is our new favorite dance party song at home! Thank you Neylan. I have been reading a lot on this topic lately and have been seeking to formulate my own stance; much of how I feel is wonderfully expressed here. I loved your FAIR talk from last year - Joel and I had a great discussion about it with Ashley & Corey shortly after it was given, and I shared it widely within my ward and with family and friends. I really am shocked you had a lot of negative response to it. I applaud your bravery for sharing your convictions and ideas for how we can make the church more like the Zion it one day will be. "I could take on Falstaff himself in a throwdown of insults with the library of personal attacks I have amassed over the past year." It strikes me as a fine and productive use for such comments, to catalog them according to their heft in a battle with such a foe. Very wisely handled. I enjoyed the substance of the piece as well, of course, and will benefit from reviewing it and thinking carefully through these thoughts. Thanks!